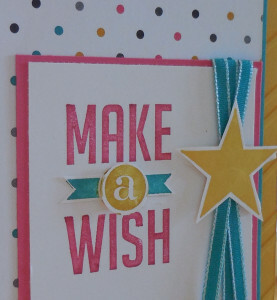 Marilyn SanClemente March 18, 2014 March 18, 2014 Birthday, Occasions catalog, Spring, Stampin' Up! 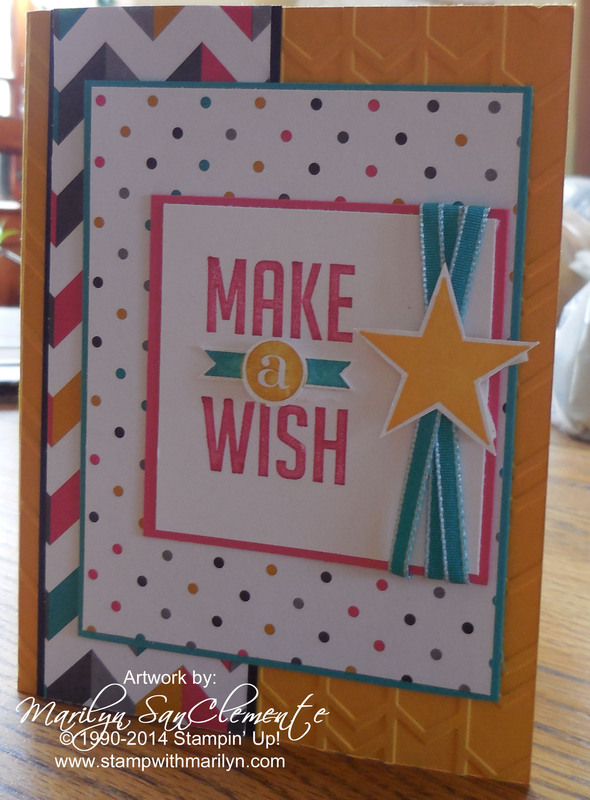 Today’s card is a clean and simple card made with the Kaleidoscope Designer Paper and the Perfect Pennants stamp set. I used the sketch from the Mojo Monday challenge for this card as inspiration. So the details on the card. The Kaleidoscope designer paper coordinates with Crushed Curry, Basic Black, Bermuda Bay and Strawberry Slush cardstocks. 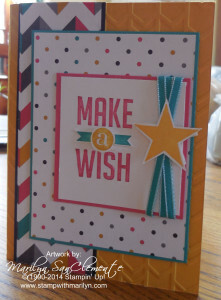 So the base of the card is Crushed Curry which I embossed with the Arrows Embossing folder from the Occasions catalog. To add depth to the stamped image, I stamped the image a second time on a scrap of whisper white cardstock and punched out the “a” with the 3/4″ circle punch. I also cut around the small banners around the “a” and used dimensionals to add depth. This is my new favorite stamp set from the Occasions catalog! It is so versatile.